Have you been feeling a little sluggish lately? Do you constantly find yourself bombarded by the least healthy dietary options from all sides? It sounds like you’re ripe for a body-purifying detox routine. This doesn’t have to mean establishing a rigorous diet plan and starving yourself in the name of nutritional purity. Sometimes, all you need to do is incorporate a couple of health-promoting ingredients into your existing eating habits. These nature-derived body-chargers can help speed up the natural processes in your body and help you expel all those harmful toxins and pollutants that you’ve accumulated in your day-to-day life. And to help you find out what these cleansing ingredients are, we have compiled a list of fruit, veggies, and spices that have unparalleled detoxifying properties. Not only will they help you cleanse your organs, they might also make your meals more colorful and interesting. We already know garlic is an essential ingredient in every delicious pasta, marinade or stir-fry. However, did you know that garlic also possesses unrivaled body-purifying properties? This pungent veggie can help promote the production of glutathione, a component which is capable of filtering out toxins from the digestive system, as well as the liver. Garlic is also known for its anti-inflammatory properties, which can help relieve bacterial, fungal and viral health conditions. And before you start heating up the oil to make your favorite garlic-infused sauce, you should probably know that garlic is best consumed raw. To reap full benefits of this strong-tasting superfood, it’s advisable to take one clove a day, which you can crush and eat whole. If you’re not too thrilled at the prospect of eating garlic on its own (and the resulting breath to boot! ), you might want to invest in garlic capsules, a more elegant way of treating your body to this health-boosting superstar. Ginger has been used for medicinal purposes for millennia. And for good reason, too: this root plant is packed with all sorts nutrient that can help purify your body. It holds powerful anti-inflammatory and anti-spasmodic properties, embodied in the substances such as gingerol and shoga. These can effectively kick-start your digestion processes, and subsequently help minimize the build up of toxins in the colon, liver and many other organs. These digestive enzymes can also help reduce signs of constipation, bloating, diarrhea and gas. Moreover, frequent consumption of ginger can also speed up your circulation, thus reducing the occurrence of blood clots. On the more practical side, ginger can be prepared in a myriad of ways. For a quick and easy approach, peel the ginger and cut it into ¼ inch-wide slices. Stick the slices onto a skewer or a toothpick and soak them in hot water. Add a teaspoon of honey and a couple of drops of lemon and your soothing detox tea is all done. For something a little more palate-enticing, grate a bit of ginger into your stir-fry. Not only will this make your meal healthier, it will also give it a spicy kick. Kale is definitely having a moment in the world of health and fitness. The wellness crowd’s fascination with this leafy green should come as no surprise. After all, kale counts barely any calories, while it packs in a great amount of nutrients that can help cleanse your organs and energize your body. These include vitamins K, A and C, but also a high concentration of potassium, iron and riboflavin. All these goodies can be incredibly beneficial for minimizing inflammation, lowering cholesterol levels and cleansing your liver. However, kale’s bitter taste and chewy texture make it somewhat challenging for preparation, especially for rookie cooks. Luckily, you can easily neutralize kale’s strong tang by combining it with fruit, for example in a delicious smoothie. To give you some ideas, mix up a handful of kale with banana or mango and you’ve got yourself a healthy, body-boosting concoction. Another fun way to introduce kale into your diet is by turning it into mouth-watering, moreish chips. Simply drizzle it with olive oil, sprinkle with salt and toss it into pre-heated oven for about 10-15 minutes. The popularity of this tasty, good-for-you Central American fruit has become so ubiquitous, it ended up defining an entire generation. And should this be surprising at all? Not really, especially when you take into consideration all the ways in which avocado can be good for your health. 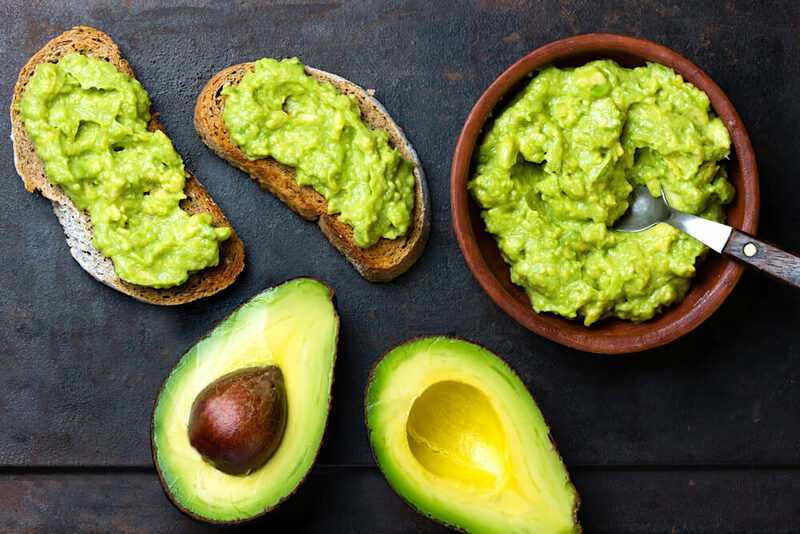 For one, avocado is laden with fats – the healthy kind – which are not only beneficial, but essential for any thought-out detox diet. This fatty treat is also chock-full of agents that can help your organs in the production of glutathione, amino acid which is crucial for detoxifying your liver. Other than their numerous health benefits, avocados are also extremely versatile when it comes to preparation. The easiest way to incorporate them in your routine is to spread them across a slice of your favorite bread and drizzle with a few drops of balsamic vinegar. Alternatively, add it to your favorite smoothie recipe for a more satisfying taste and fuller texture. Green tea is one of the most buzzed-about ingredients when it comes to detoxifying routines and diets. This all-powerful elixir, which has been consumed in Asia since the ancient times, is known for its high concentration of ingredients that can flush out the toxins from your body. Among them are amino acids, alkaloids, chlorophyll and catechins, which are especially hailed for their detoxifying powers. In real life terms, this means that regular consumption of green tea can benefit cardiovascular health, reduce digestive issues and stabilize blood sugar levels. To maximize the health benefits of green tea, it is advised to drink it twice a day, once in the morning and once in the evening. Sipping green tea in the morning will wake you up from slumber and energize your body for the day ahead. A cup of this beverage in the evening will help rid your body off all the impurities it accumulated over the day. If you plan on treating your body to a detoxifying routine, then lemon should be an essential component of your diet. This zesty fruit is loaded with phytonutrients, which have amazing antioxidant and antibiotic powers. The citrusy goodness is also full of pectin, a dietary fiber which can improve your digestion. 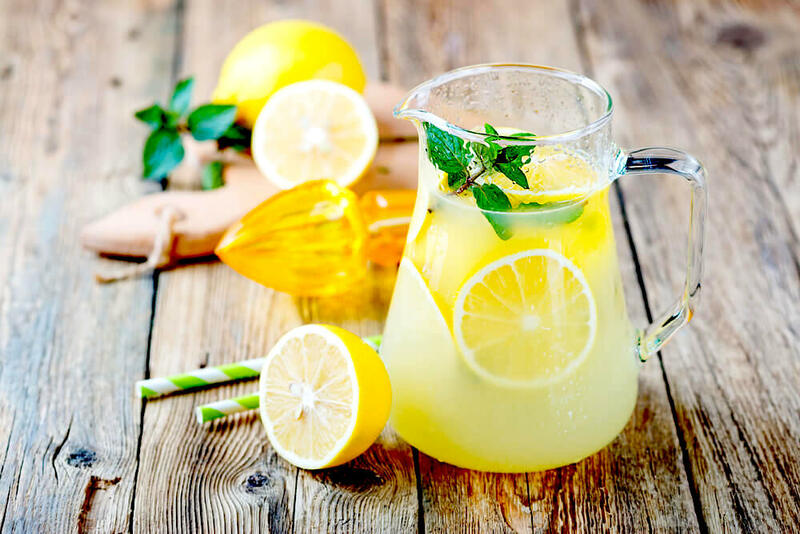 This component can also contribute to feeling of fullness, making lemon a great choice for diets geared towards weight loss. As you probably already know, lemons are abundant in Vitamin C, which can be good for your body in many ways. For one, this nutrient is great for boosting immunity and battling free radicals. Vitamin C can also help in the battle against premature signs of aging and hyperpigmentation, which usually affects mature skin. The most straightforward way to incorporate lemon into your day-to-day routine is by squeezing it into a fresh glass of water. Lemon water makes for a great pick-me-up drink, especially in the mornings. It will kick-start your organism, but also make you feel refreshed and rejuvenated. Everyone knows leafy greens should be your main weapon in the fight against body impurities and pollutants. And one of the most nourishing green superstars is spinach, which contains a host of body-boosting goodies that can be incredibly potent in banishing all the harmful toxins that reside in your organs. To begin with, spinach is a natural cleanser of the digestive system. Regular consumption of spinach, especially when it’s fresh, can boost the production of mucus which helps shield your stomach from damaging substances. Moreover, spinach can also boost your nervous system, as the amino acids found in is leaves can contribute to longer life of neurons. Spinach is at its most effective when consumed fresh. Due to its mild taste, it can be a great addition to any smoothie, especially when mixed with other heart-healthy fruits and veggies. This lesser-known cousin of cabbage and broccoli has become one of the most hailed veggies in the world of health and wellness. These bite-sized super-chargers are known for their high concentration of cancer-preventing components called glucosinolates. Brussel sprouts can also help boost your digestion processes, which will consequently lower the levels of bad cholesterol in your blood. Moreover, brussel sprouts can be cooked in a variety of ways and make for a great health-friendly substitute for pasta, bread and other processed carbs. 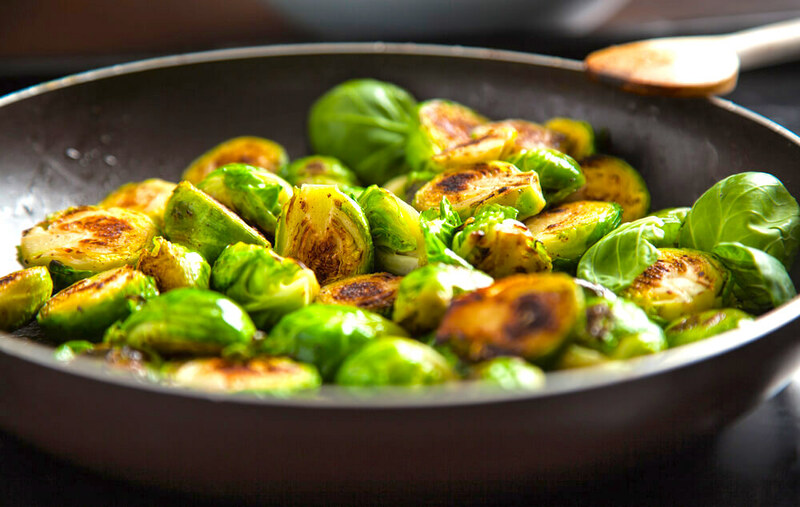 An easy way to cook your brussel sprouts is to sauté them over a couple of drops of olive oil and chopped garlic. Alternatively, sprinkle them with chili seeds and roast them in the oven until crispy and flavorful. Long since used for culinary and medicinal purposes in South Asia, turmeric is one of the go-to spices for a body detox. 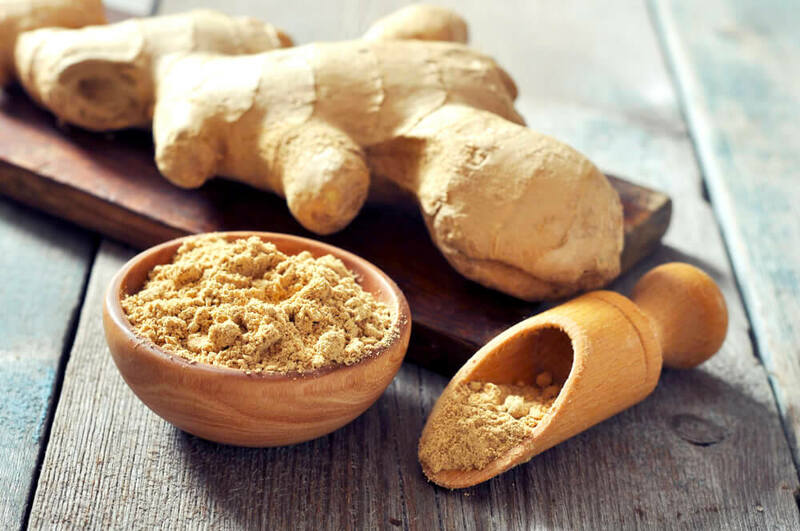 This brightly colored spice, which is derived from a plant belonging to the ginger family, is also known as a powerful body-purifying agent. The substance that gives turmeric its incredible healing properties (and the bright color) is called curcumin. This component is known for its anti-inflammatory and antioxidative properties. Because of this, it can help in the battle against a host of health issues, including psoriasis, pancreatitis and inflammatory eye diseases, among others. Fortunately, incorporating turmeric into your day-to-day meals should be as easy as peas. You can sprinkle it over scrambled eggs in the morning, or make a healthy, turmeric-infused curry for dinner. Alternatively, you can make turmeric tea by taking a tiny amount of the spice and mixing it with hot water and a spoonful of honey. This super-charging green, which is abundant in the spring months, can be a great way to treat your body to a number of health-boosting nutrients. 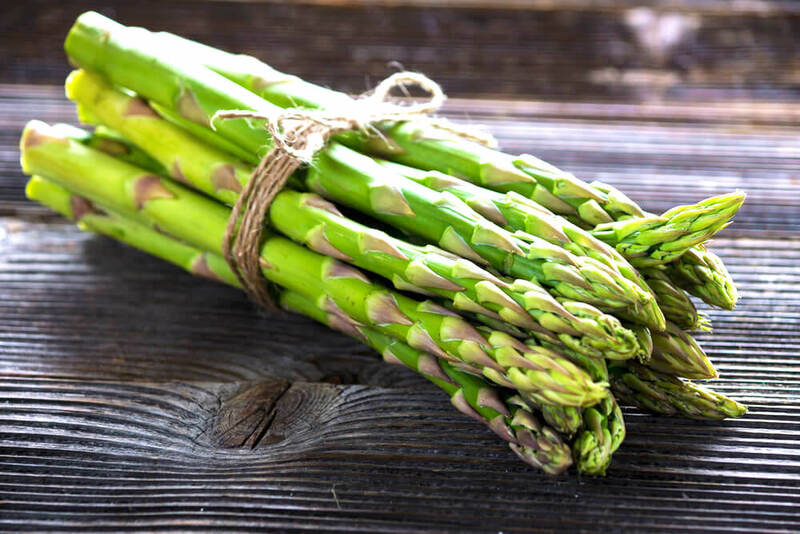 Among them are folic acid, zinc, iron, but also vitamins A, C, K and E. Asparagus is also a natural diuretic, and it can also help the body absorb all the positive nutrients from other foods. Not only is asparagus a champion among detox foods, it’s also a welcome addition to every plate. For a healthy breakfast, you can combine a couple of asparagus stalks with scrambled eggs. Alternatively, sauté them over olive oil and garlic for a body-charging lunch. You can also roast your asparagus wrapped in thin slices of prosciutto to create a mouth-watering evening treat. Hailing from Central and South America, chia seeds have taken the health-oriented world by storm. These black, white and dark brown seeds are loaded with Omega-3 fatty acids, which make up a third of its composition. Moreover, chia seeds are abundant in fiber and antioxidants, while they also contain high doses of magnesium, zinc, iron and calcium. These components can greatly help in restoring your health, especially when it comes to cardiovascular issues, high blood sugar and digestion. Moreover, chia seeds are characterized with a neutral taste, so they can be an energizing addition to pretty much any meal. For example, you can add them to your oatmeal or smoothie in the morning for a more fuller taste. For lunch, you can sprinkle them over salads and soups to give them an extra dose of crunchiness. Finally, they can also be added to any pasta or rice-based dish, making it instantly more healthy and body-purifying. If you’re on the market for a detoxifying snack, then look no further than stocking up your pantry with nuts. 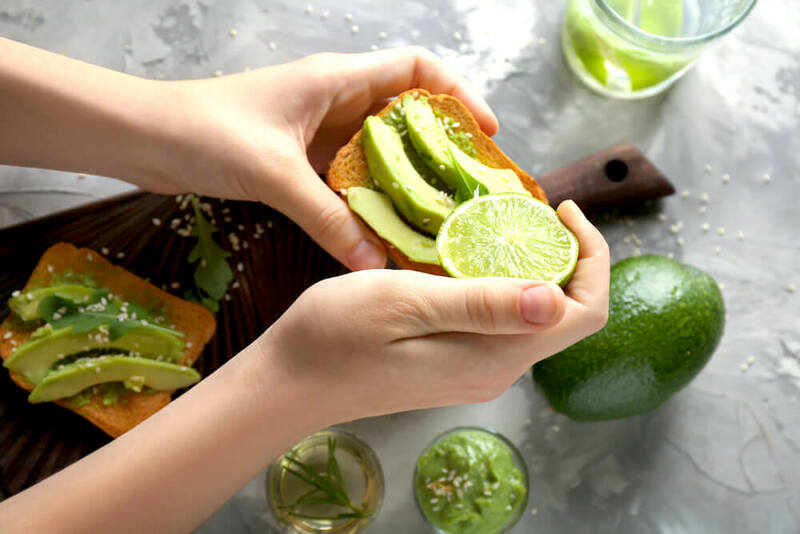 These all-natural bites are crucial for replenishing your body with healthy fats in proteins for all those in-between meals purposes. And almonds are one of the healthiest nuts. 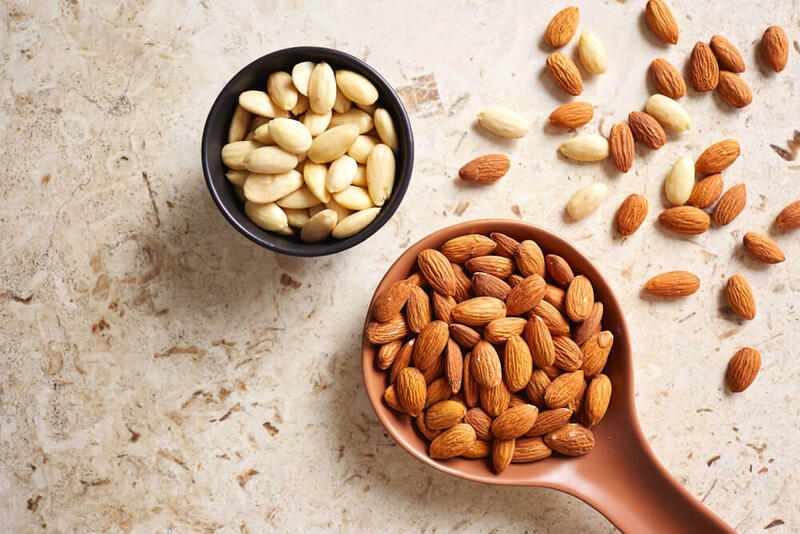 Not only are almonds rich in fiber, protein and natural fats, they are also chock-full of Vitamin E, which is not only good news for your nails and hair, but also for your cardiovascular system. Furthermore, almonds are a rich source of antioxidants, which can slow down body-aging processes and help prevent a host of medical issues. And with this, we wrap up our list of some of the most raved about detox superfoods. Whichever of these ingredient(s) you choose to put on your plate, you can rest assured your body will be thanking you! How Does Sleep Quality Affect Your Skin? 104 Responses to "12 Foods to Detox Your Body"
Informative article. Thanks so much! Thanks for sharing these fantastic superfoods. I found this article highly informative and I will try to incorporate more of these foods and spices into my diet. I do eat avocados and brussels sprouts among other items, but I didn’t know how “healthy” they were. Thanks for sharing. Incredible Information, thanks so much. lots of good information here!!! I do like and eat /use most of these items. I didn’t know all that info on ginger. There are so many benefits to garlic. Great article. We all know what is good for us but sometimes it is great to be reminded again. Your article was most informative and I am going to try very hard to incorporate this more into my diet. Great article, detoxifying your body with food is very interesting I’ve always wanted to try it but just don’t have the willpower. Thanks for the informative article ! I would love to try any of these Detox’s. I love that I learn how to make everyday food work for me! Thank You for sharing this fabulous article on a body-purifying detox routine. I am printing it out and will pass it on to my family and friends! I love all your articles Ifind them veryhelpful I use must of the fruits and veggies but some I start using in my diet tomorrow. Thank again. The is a fantastic list of superfoods! Great article. I try to incorporate as many of these as possible in my daily routine! I do have most of these although they are in recipes I use in my Nutribullet. I find I can drink them even if I don’t like the taste eating them! Turmeric is great for joints and muscles. These are great dietary helpers. Thanks for the superfoods info. Wow, what a great list of ways to detox your body. There are some I already knew about and others I had no idea. It will be fun incorporating a lot of these in my diet. Thanks….. This article was very informative. I am trying to incorporate all these foods into my daily diet. It’s taking me awhile but I’m getting into the habit of eating more nutritionally. Great list of detoxing foods, thank you! I love all of them, except for the brussel sprouts! Love the ideas, already using some and will incorporate others into our lives. Thanks. Great info, will definitely be trying to incorporate more of these in my diet. I rarely think of using Turmeric. Love lemon water!!! I eat all of these so should be very healthy. Great post I started reading it and then stopped to get a pad so I could take notes. After that I’m going shopping. Thanks for all the information. I’m trying to eat and drink the foods mentioned in he article. The products help detox our bodies. Detoxing our bodies of the impurities and harmful toxins encourages us to live a healthier lifestyle. It’s a Win, Win situation. I love reading all of the beauty tips. I seriously can’t wait to try this new cleanser. Everything in it I love to eat so putting them on my face will be an absolute healthy treat! Interesting article. I need to up my game. I only eat 7 of these foods. These sensitive skin products do what they say. While so many people are so consumed with the skincare they use, they must equally be attentive to what they put in their body. Your skin is a reflection of how you treat your body overall. I love informative articles like this because I learn so much. I love the fact that when you eat good your skin looks good. This is wonderful, learned a lot, thank you. the morning is drink a hot cup of green tea. Love Orogold products- so luxurious and easy to apply. If This product does what it says it does it would be well worth the money. I loved reading about almond, I always knew they were good for me. I had no idea about some of these. Thanks for the info. Great that I have been eating most of these featured food all the time! Seems like I’m going on the right track! I love Orogold facial cleanser. Thank you for. This was a great, informative article. This is helpful information, thank you! A healthy way to live. Fantastic article! I LOVE most of the foods listed here! Thank you so much for this article. I have learned a lot. Love your products. A lot of these are foods I eat daily! After reading I will be adding some others! Thanks! I love all these vegetables and spices, the only one I have not had are the chia seeds. Great to know! I love most of these and now I have an excuse to eat more! These are a lot of great food for great health! Thanks for the info. I am a garlic fanatic so it’s great to know how good it is for me! This was very interesting and informative. I will be adding more of these to my diet. I love avocados , I didn’t know that they where so good for me! Thank you for the info. I do eat some of these but I wasn’t aware of the benefits of all of them. I will add more to my diet now that I know. Thanks for the great information. I love asparagus, but didn’t know of all its benefits. Thanks for the information. I like many of those foods but not all. I guess you have to acquire a taste for some of them. I have been drinking green tea for about a year and a half. I make iced tea with it. I love Asparagus! I cook it whenever I can. I also love Kale and Brussel Sprouts. These 3 greens are the best in my opinion. Very informative and interesting. I enjoyed reading it. I’m happy to see that all of the things listed are foods that I like. Nice to know. Good info. Learned some new things. A very informative and useful article for everyone!